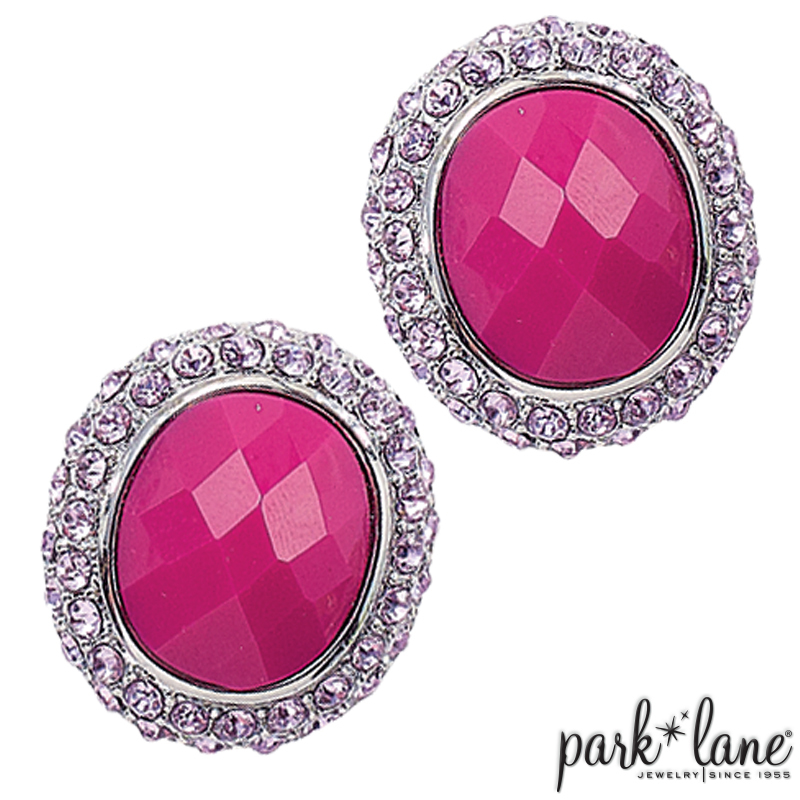 Holding with the philosophy that jewelry should be fun to wear, Park Lane presents these playful pink earrings! L.A. FUN`s hot pink faceted ovals are framed with glittering mauve-pink crystals. The silver latticework on the back of L.A. FUN bracelet is stunning, but it`s the top of the bangle, encrusted with mauve-pink crystals, that definitely steals the show! Planted among the glitter, fuchsia pink ovals pop with color. This bracelet has attitude; wear it and have L.A. FUN! Bracelet is hinged. Pierced earrings are post-style. Rings: Floral Fantasy, Fairy Tale, Hope, Flirty Complements Sugar necklace, Berry Sweet and Forever ensembles. With the right outfit, L.A.Fun may complement Lilac, Mystere and/or Flirty.